What Plato (and others) said. The mountains of Atlas, and the people who lived there, were both called the "Atlantes". 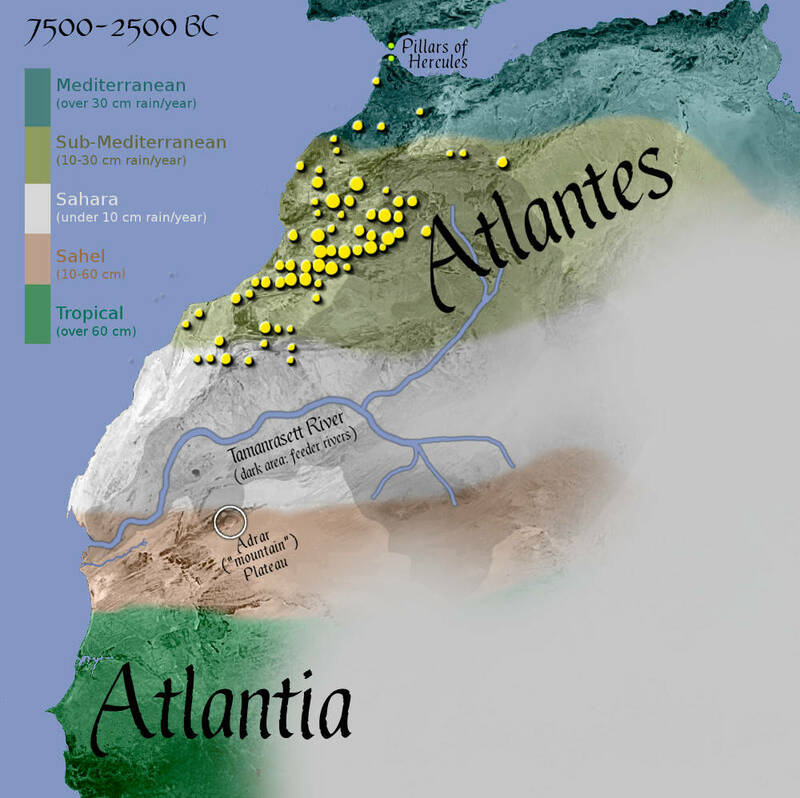 South of the Atlantes was Atlantia, the old name for Africa. Yellow dots are ancient rock art. (Picture: my own art, based on Susan Searight's PhD thesis on rock art in the Atlas mountains. Much of the art dates back to the stone age. In 20,000 BC the Sahara was even drier than today. But the mountains of Atlas were wetter than today, allowing the Atlantes people to flourish. Between 7500 and 2500 BC the Sahara had a "wet phase" and was more fertile. This explains why the Atlantes sites extend further south. But before that something happened. The people of the Atlas mountains from this period are usually referred to as Iberomaurusians. In 8,700 BC the Younger Dryas climate event hit the Atlas Mountains (later than other areas: local climate depended on ocean currents, etc). At that point all of the Iberomaurusian settlements suddenly disappeared. When a drought hits, people move to more fertile land if they can. And sure enough, a few hundred years later we see signs of a very similar culture, but further east. 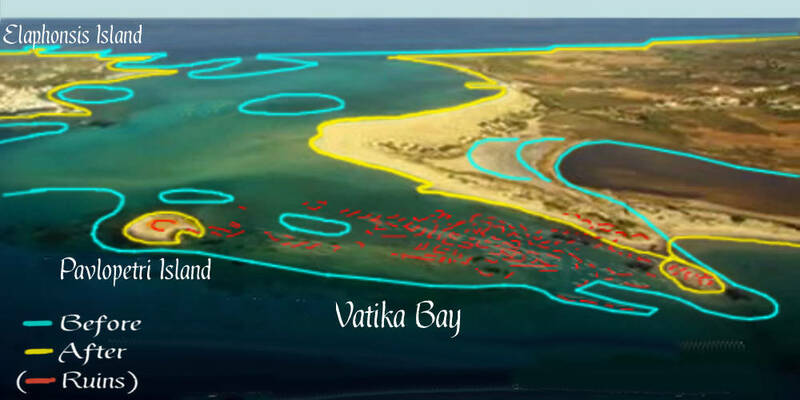 (Picture: adapted from the Wikipedia map of Capstan settlements. THere is a gap in the historical record between the Iberomaurusians disappearing (c.8700 BC) and the very similar Capstan people appearing further east (c.8000 BC). What happened in between? Perhaps they just died out in the drought? But these were mountain people, used to constantly moving in search of food. Would they just sit down and die? If they had to they could travel long distances. But where would they go? Note that in 9,000 BC sea levels were much lower than today. The Aegean islands (such as Crete, which was populated by 12,000 BC) were easily accessible. So if the people of Atlantes wanted to follow the coast to the mountains they would have to defeat not just the Natufeans (ancestors of the Egyptians and Canaanites) but the Aegean tribes as well. Most Egyptians did not survive. The Iberomaurusians would have followed the coast. 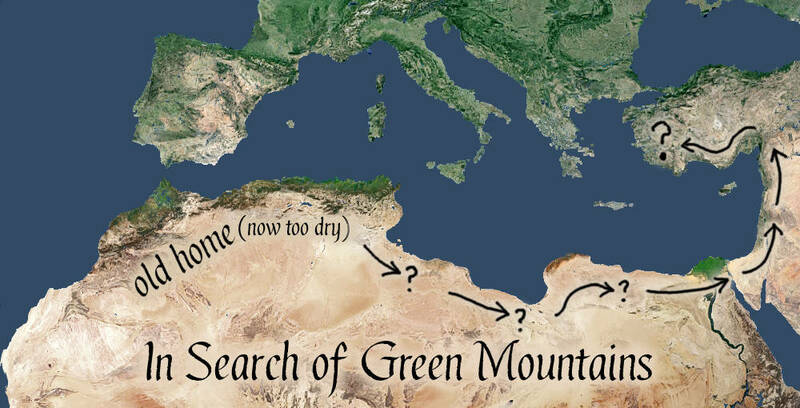 We know they did not like to cross water, because in ten thousand years of living in the Atlas mountains they never crossed the ten miles to Spain. The next fertile land was Egypt. Back then it was mainly occupied by the Sebilian and Quadan cultures. Both cultures disappear at the same time that the Atlantes people move east. Did the Sebilians and Quadans simply die out? Or move because of the Younger Dryas? That makes no sense: In a drought, Egypt is the place to be more than ever, because of the river. So if they didn't starve and they didn't leave of their own accord, that leaves war. The first war known to history took place in the Nile valley, probably over access to land, in the Younger Dryas era. This is usually dated to 11,000 BC, but the event happened at different times depending on local climate conditions: as noted, for the Atlas Mountains it was 8,700 BC. Precise dating of remains is difficult because bone collagen (the best source) is poorly preserved in dry conditions, and all radiocarbon methods (such as apatite dating, used on the Jebel Sahaba bones) rely on a good understanding of local conditions ()details). So the Jebel Sahaba massacre is evidence that people fought over the Nile in the Younger Dryas era. This does not prove that these particular bones are Eguptians killed by the Iberomaurusians, but it is possible. All we know is that the victims were Egyptian, not Iberomaurusian: the skulls did not have the distinctive Iberomaurusian post-cranial shape. It's important to remember that the Iberomaurusians were genetically different from the people of Egypt and the Eastern Mediterranean. They were not closely related, and looked different (with distinctive skulls). They lived in the mountains on the other side of the Libyan desert and were experts at hunting in harsh conditions. I short, when a large group of Iberomaurusians walk across your land, that is very, very scary. The stuff legends are made of. 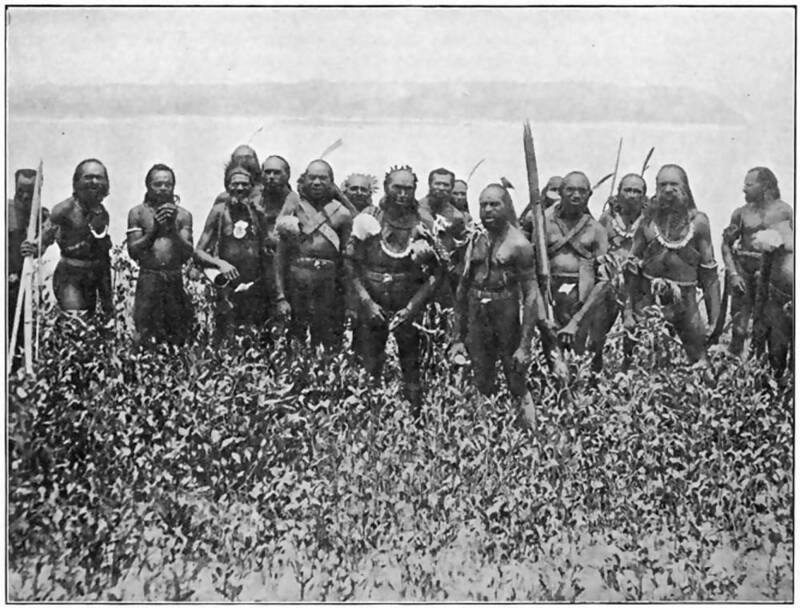 A third tribal group was also living in Egypt: the Harifians. They were the last of (or at least related to) a larger and more ancient culture, the Natufians, who roamed across what is now Egypt, Israel and Syria. The Harifians lived around Fayyum, near the mouth of the Nile. When the Sebilian and Quadan cultures were destroyed, the Harifians escaped, and settled in the nearby forests (what later became the Negev desert). They began to use a lot of arrows. Before that, in Natufian archaeological sites, no arrows were found. Like the Natufians they lived in semi-buried homes: buried stone walls and branches for the roof. Living in the forest meant these homes were perfectly disguised, hidden from enemy tribes. I have mentioned rock art. All art communicates something. Maybe just "I was here", maybe "these animals are here" or maybe something more sophisticated. Numerous sites from around 10,000 BC and later show monoliths and towers with images and symbols. 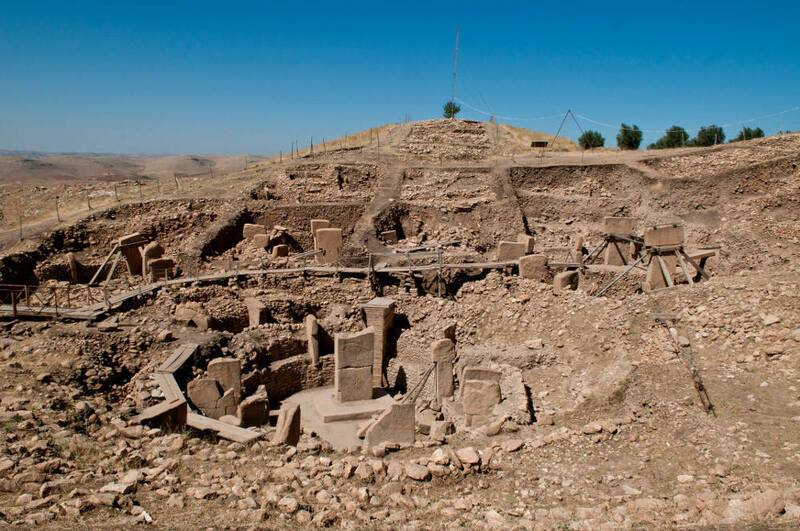 The most famous is at Gobekli Tepe. (Picture: from "Human Palaeoecology in Southwest Asia During the Early Pre-Pottery Neolithic (c. 9700-8500 cal BC): the Plant Story"
The geographical center of the Natufian world was probably Jericho, where they began building structures well before 9000 BC. 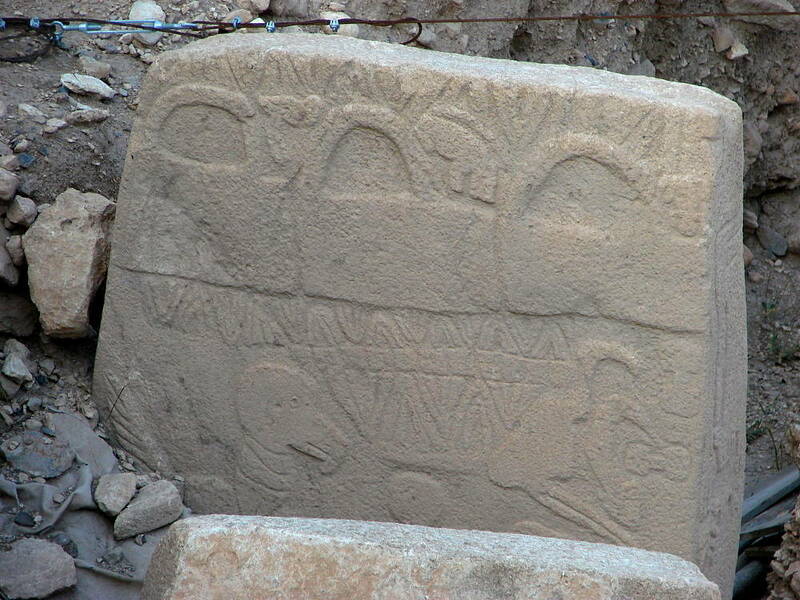 The Natufians of course, like almost everyone at the time, were semi nomadic, so Jericho was just like Gobekli Tepe or Tell Quaramel: simply a place to gather, tell stories, and record rock art. When the Harifians, the last of the Natufians, fled Egypt, we can be sure they would have gathered at Jericho to tell stories of what happened. The Harifians knew they would ultimately be safe, because of the Aegean tribes (modern day Crete, Athens, etc). If the terrifying Iberomaurusians ever continued along the coast, they would want green mountains. And that meant the islands around Crete. 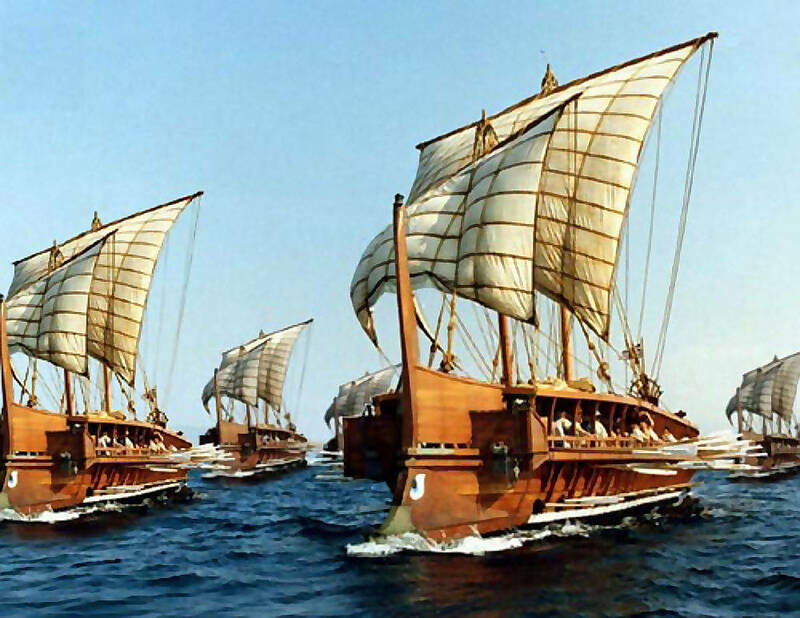 But the Aegeans had boats, so they were relatively advanced. They probably engaged in trade, so knew more than most. And they were used to defending themselves (you can't run far on an isand). And they were also excellent hunters (they killed all the large animals on Crete soon after arriving). So if the Iberomaurusians fought the Aegeans, the Iberomaurusians would lose. The Aegeans probably never traded as far south as Egypt in 9000 BC (though they did much later). But they would very likely trade with the coasts of Anatolia, and come up to the borders of Natufian-Harifian lands. So once the Harifians escaped from Egypt, moving further up the coast made them safer. Because the closer the Iberomaurusians came to the Aegeans, the closer they came to defeat. The archeological record does not tell us whether any Iberomaurusians met any Cretans. But it does hint in that direction: when the Iberomaurusians disappeared from their Atlantes homeland, then completely disappeared from the archaeological record for centuries, then reappeared at the eastern end of their old lands. This is consistent with leaving for the east, being decisively defeated in battle, then limping home to gradually rebuild their civilisation. 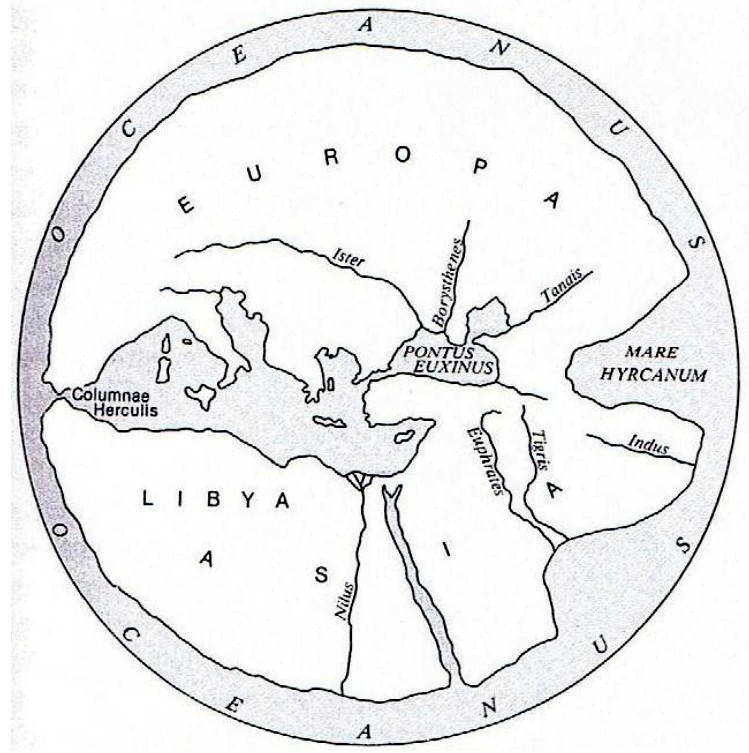 What we now call Egypt was previously just a river at the southern end of the Natufian (i.e, Harifian) territories. The river was good for wild plants, but not good as a place to live, because everything flooded once a year. The natural capital (i.e. village and gathering place) was the more centrally located Jericho. Until 8000 BC Jericho was simply a village where people often stopped. But in 8,000 BC everything changed. A great wall was built around the settlement, six feet thick and 12-17 feet high. A 28 foot high defensive tower was built. (To defend against whom? Were descendants of the Iberomaurusians wandering around?). At that moment the Natufian-Harifian culture ended: they ceased to be wandering nomads, and became a settled community, with different habits and priorities. Jericho became the world's first city. Or technically, "proto-city", as agriculture was still very simple, so there was no large surplus of wealth and hence no class hierarchy. The next two thousand years or so, known to archeologists as "Pre-Pottery Neolithic B", saw farming come to dominate everything. More plants were tamed and improved, sheep were first domesticated (probably), and the economic surpluses enabled more division of labour, a class system, and complex religion and art. By 6,000 BC, farming produced such desirable economic surpluses that it was time to permanently settle the Nile. Previously the flooding and remote location made the Nile a problem. But it was no worthwhile to build walls and dams, to drain some areas, to irrigate others, in order to create a vast network of fields, and houses to serve them, all based on the easy access to fresh water and on rich fertile soil. Thanks to agriculture, Egypt became the bread basket of the ancient world, and its natural heart. The key point to remember is that, while the center of farming moved from Jericho to the Nile, the boundaries stayed the same. In 8,000 BC this was a culture of semi-nomadic individual tribes who occupied lands from Syria to the Nile. By 1,000 BC this was a highly centralised kingdom with its capital in the Nile, that ruled up to Syria. The same continuous culture, the same boundaries, regardless of what we call it. In 3100 BC, Pharaoh Menes grabbed control of the whole Nile. But he was simply a new boss claiming ownership over the same old Natufian territories. The culture he ruled began back in 8,000 BC, when nomads stopped wandering, built great walls and a great tower, and said "we own the land!" 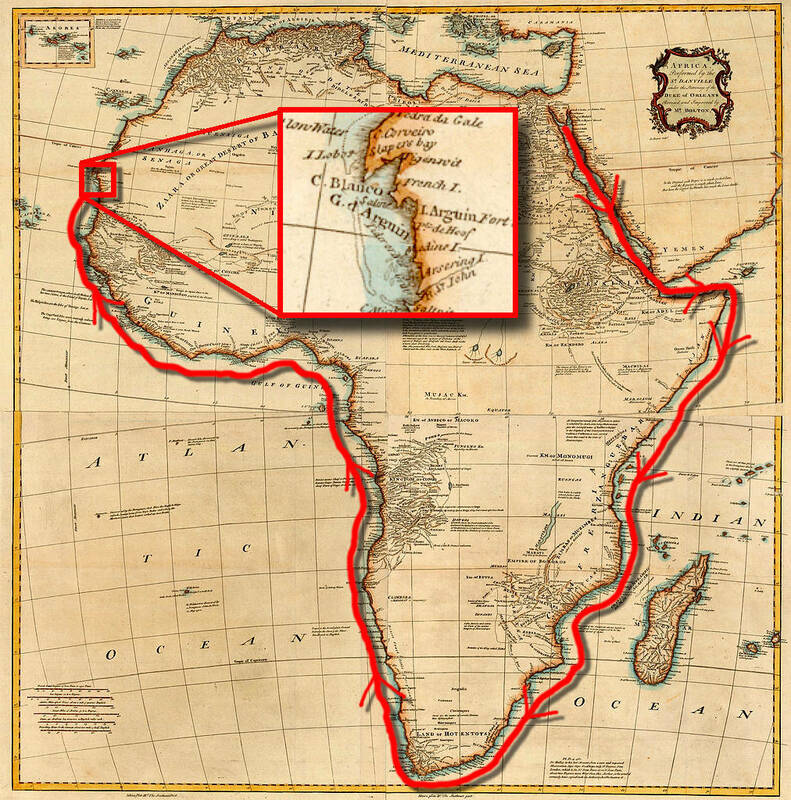 ...or was connected to a world-surrounding outer continent, but rivers from both sides of Africa might join at lakes in the middle, allowing a ship to sail from one side to the other. The "rivers join up" idea taken very seriously. A little after this, In 500 BC, Euthymenes found a river on the west of Africa (probably the Senegal) and believed it was was the other end of the Nile. Even in modern times (the 1500s) The Nile and Senegal were believed to join in the middle (i.e. come from the same inland lake). Whatever the truth was, small Africa or Africa in two halves, Necho would find out. He hired a Phoenician ship to circumnavigate Africa. It was to start at the East coat, sail further south than the cataracts (which prevented ships sailing up the Nile itself), and find a way to the Pillars of Hercules. The journey took three years, because every few months it would stop to plant seeds, wait several months for them to grow, and then harvest the seed for food for the journey. 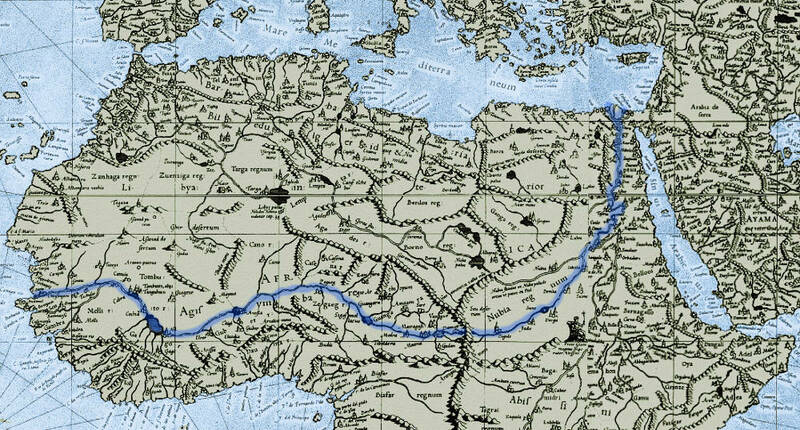 A reconstruction of the most likely route suggests the last months-long stop would be at the very fertile Bay of Arguin. The bay is so fertile because it once had a major river that cut right across the Sahara (bringing topsoil with it). Smaller rivers still do. The sailors' job was to find a short cut across Africa, so in the months they had to wait they would have explored any rivers or valleys near the coast. Around 550 BC the circumnavigation of Africa was followed by an exploration of the west coast by the Phoenician explorer Hanno. Hanno took sixty ships and 30,000 people to establish new colonies for the Phoenicians, so they could trade with the Africans further south. Either Hanno or the colonists would certainly have explored the Bay of Arguin. Soon we'll see why. But first we need to consider the changing view of maps in 600 BC. 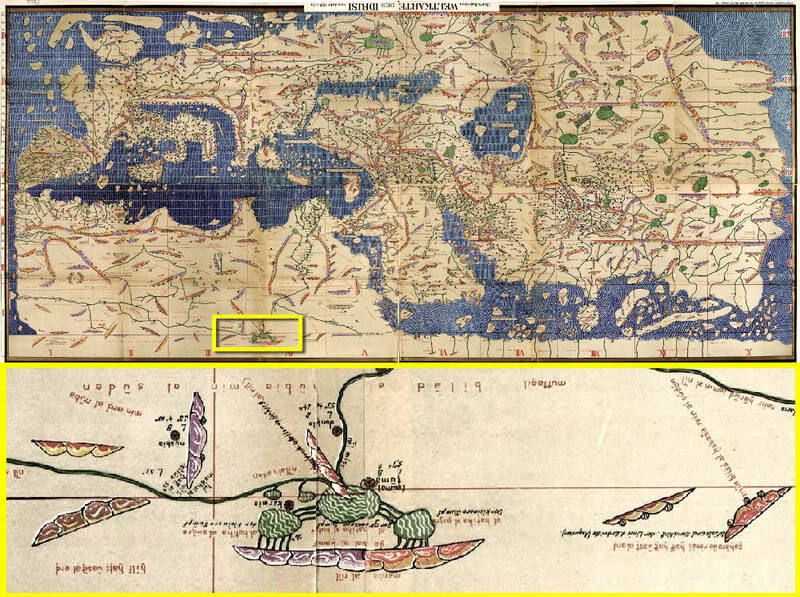 The earliest maps showed just one land: the land you lived in. But by the 6th century BC the Greeks knew there were many other nations. They noticed that nations to the north tended to be colder and greener, while nations past modern Turkey tended to be hotter and drier. So they divided the world into two: Europe at the top, and Asia at the bottom. The small parts of Africa that they knew were included as part of the hot half of the world: part of Asia. Note that the two halves are connected by a small piece of land, and mostly separated by rivers. 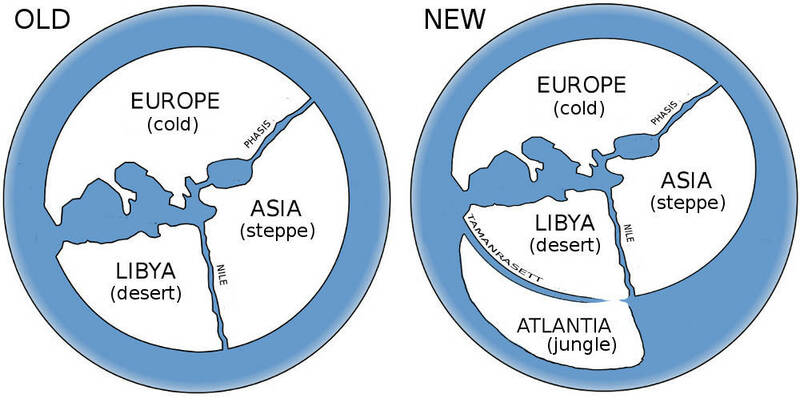 The new "two continents" view of geography was challenged by people who had travelled in North Africa. They knew it was very large, and that it was separated in the same way as the others at the top of the Nile. 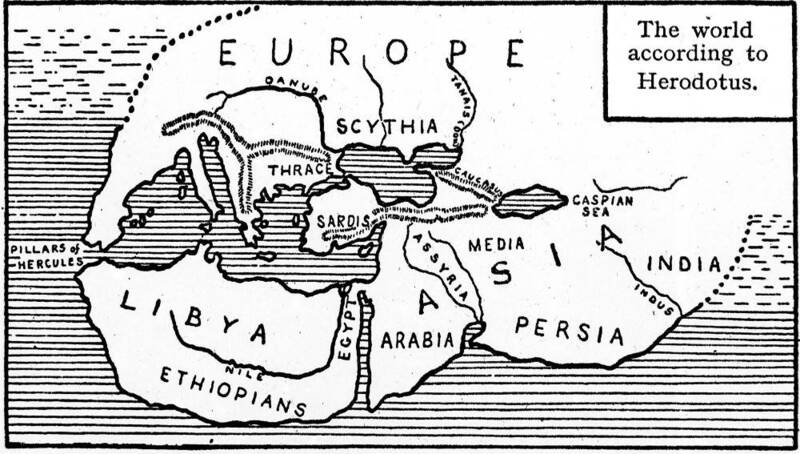 As more people visited Egypt they had to agree, so maps began to show three land continents: Europe, Asia and Libya. 600 BC: continents as "islands"
"there has been much deliberation about the continents, and that some divide them by the rivers, the Nile and the Tanais, describing them as islands, but that some divide them by isthmuses, both the isthmus between the Caspian Sea and the Pontic Sea and the isthmus between the Red Sea and the Ecregma, and that the latter call the continents peninsulas"
The Egyptian circumnavigation of Africa came right at the start of this debate over whether continents should be called islands. Imagine what the Phoenicians were thinking when they sailed around Atlantia, which turned out to be far bigger and far different from anything they had imagined or experienced. Clearly Atlantia was very different from Libya (jungle, not desert) and vastly larger. And it was once separated from Libya by a gigantic river, the Tamanrasett. South of that was still separated by the mighty Senegal river. This was surely a new continent, a new "island". And what should this new continent be called? By tradition, continents were always named after women. Europe was Europa, the woman who fled from Zeus. Asia was daughter of Oceanus and Tethys. Libya was daughter of Epaphus, king of Egypt. As we will see, Atlantia was reached via the Adrar Plateau, a kind of daughter of the Atlas mountains. 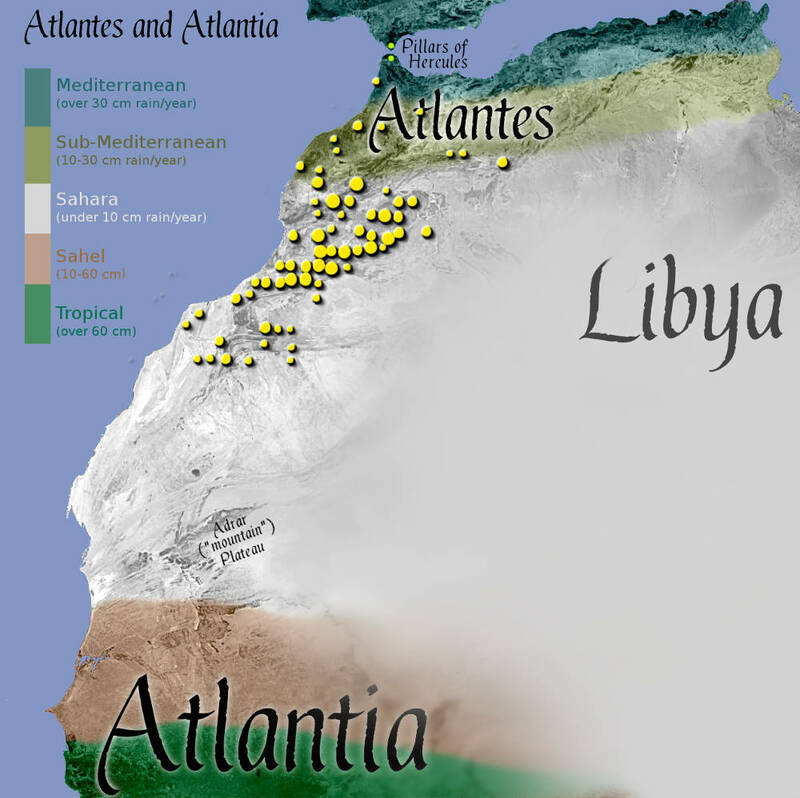 "Atlas Mountains" in Greek was "Atlantes", and "Daughter of Atlas" was "Atlantis". So "Atlantis", being female, was preferred to "Atlantia". Before we see how the Egyptians reacted to the explorers' news, let's see what the explorers would have found in their many months at the Bay of Anguin. The answer? A lot of mud in the sea. But also evidence that this region was once a thriving civilisation. By 7,500 BC the Younger Dryas was over and the Saharan climate entered its wet phase. Great rivers and lakes crossed what was once unpassable desert. This map shows the Sahara in this period, and the mighty Tamanrasett river that flowed until 3000 BC. The grey area around the river is where we would expect smaller feeder rivers: anything in the grey area could be explored without too much difficulty. (Picture: my own art, based on Susan Searight's PhD thesis and the Nature article on the Tamanrasett. Note the area outlined in a box. The Tamanrasett provided easy access from the Atlas Mountains to this vast plain, and from there to the tropical regions of Atlantia. This region would be particularly fertile: the Tamanrasett study shows numerous rivers in that area. Even in today's much drier climate the coastal mud flats are a national park, thanks to the millions of birds that visit there to feed. Also note the Adrar Plateau ("adrar" is Berber for "mountain"). This looks like a continuation of the Atlas mountains, a sort of "daughter of Atlas". 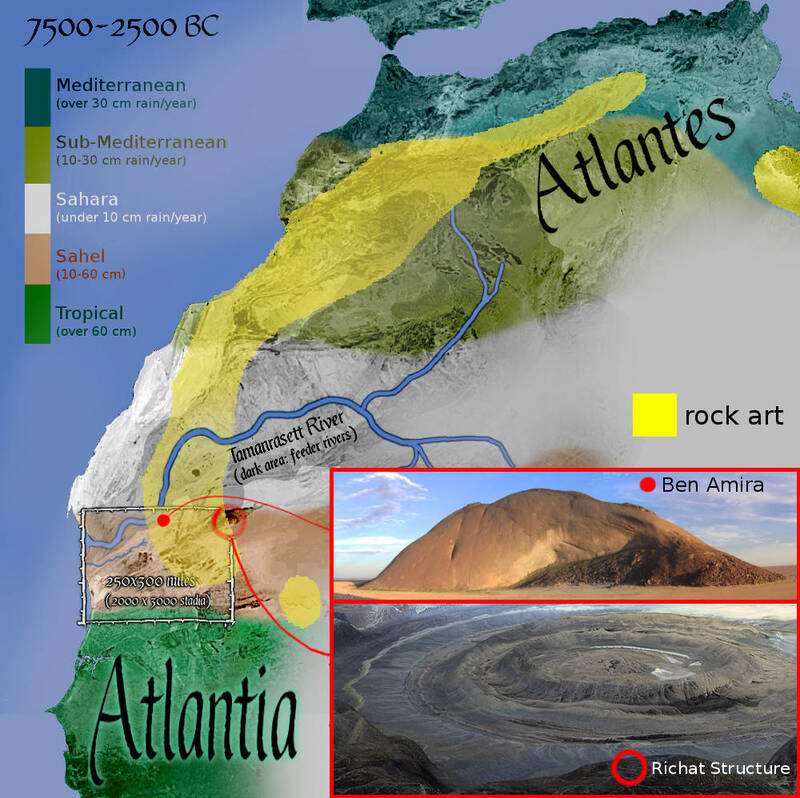 This mini-Atlas range is at the top of the Sahel region, acting as the gateway to Atlantia during the Wet Sahara era. Now let's focus on the areas that would be explored by Phoenician colonists. They were looking for trade, for new routes across Africa, and signs of natural resources (ancient mining for example). And they had several months to do it while their crops grew. So what would they do? Find a local guide. They can be bribed with exotic merchandise and only need to learn a limited number of your words: "river", "mountain", "inland", "gold", etc. Find the highest climbable mountain, so you can survey the area. The guides would know abiout the spectacular Ben Amira, Africa's largest monolith. At over 400 metres high its top can see (or be seen) for 70 km in all directions, or other mountains from double that distance. It's 300 km inland, but would be visible after 230 km, or about 5 or 6 days' journey. Less if the Phoenicians brought horses or camels. From the edge of the Adrar Plateau you can see the highest ridge. From the highest ridge you can see one of the wonders of the world: the Richat Structure. That's 520 km from the coast, around 10 days' journey on foot, or half that if riding. You can make multiple return journeys while waiting for crops to grow. 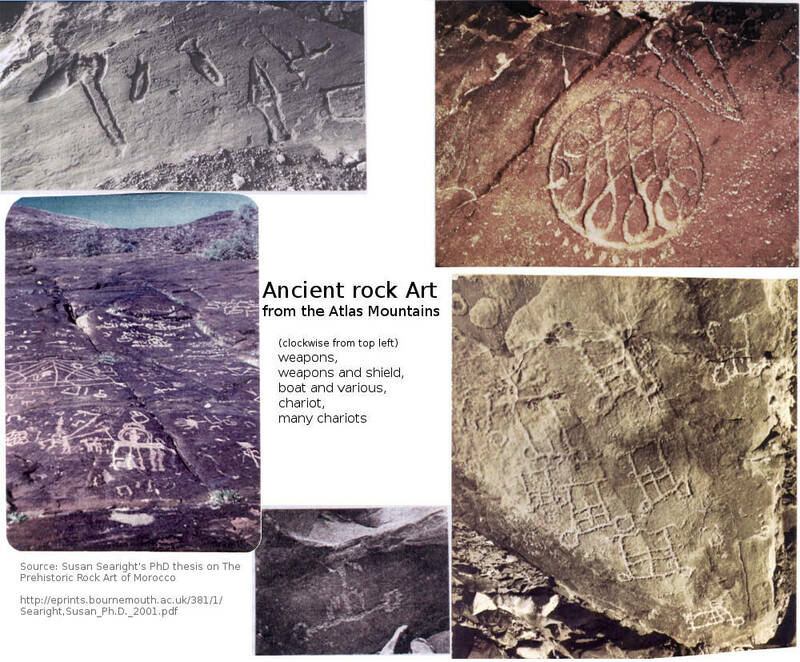 The ancient inhabitants left behind "writing" in the form of rock art. Much of it shows animals (of great interest to hunters! ), some of it showed boats, and a great deal of it is about weapons. 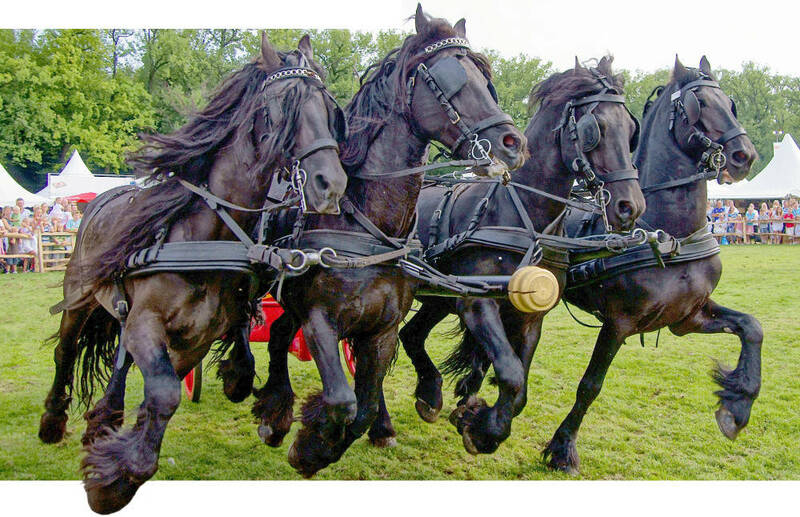 But a large number of engravings showed chariots. (Picture: based on Susan Searight's PhD thesis on prehistoric rock art in Morocco. Across the Sahara as a whole, over 1200 rock art sites feature chariots. 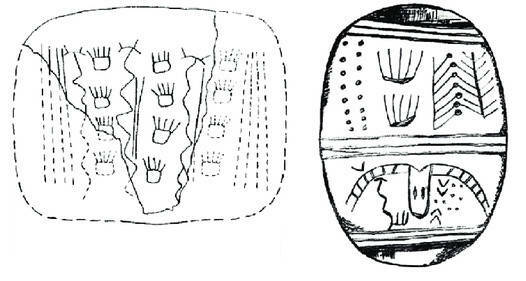 The first depictions are dated to around 3000 BC but they seem especially popular from the 600s onward (according to French researcher J.Spruytte). So the Phoenicians were entering a land obsessed with chariots. This was bound to influence how they viewed the great circular tracks in Atlantis' capital. When the Phoenicians climbed the Adrar Plateau they would for the first time see the gigantic Richat Structure: an ancient geological formation that looks as if it was man made. It had circular walls like a city, circular moats,a dn what looked like a giant circular arena for chariot races. Of course all of this had long since been abandoned and was half covered by the desert. This was the explorers' experience ever since they arrived at the Bay of Arguin. First, great mud banks in the ocean. Then dried up rivers, with dried mud and sand everywhere. They saw very few people, yet legends and rock art indicated far more people in the past (the Wet Sahara period). Finally, what looks like a gigantic man-made fortress, yet no signs of life. Surely some terrible catastrophe must have affected the land. And the vast quantities of mud suggested a great flood. Imagine what the Richat Structure would have been like if it was man made! A fortress 200 stadia (25 miles) across! Wide circular moats suggest the need for great defenses, and also a huge navy. The large circular path suggests chariot races. What a city! 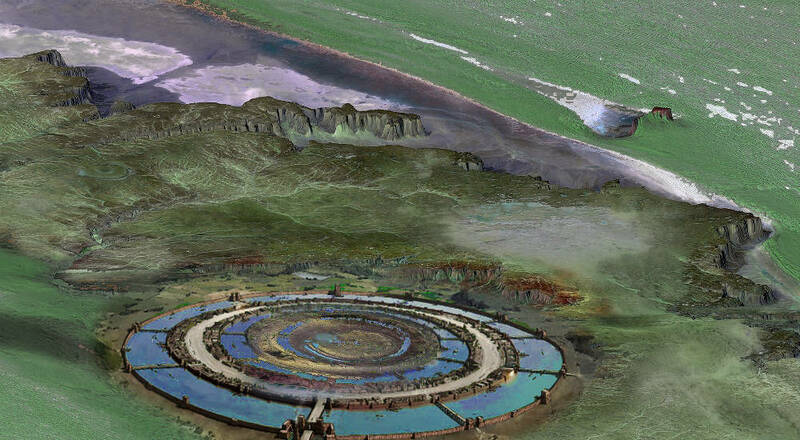 There can be no doubt that when Plato described Atlantis he was describing the Richat Structure. Because the design is so unusual, and he not only described it in detail but also its exact size (50 stadia from outer edge to main harbour, another 50 to the middle, makes 100 stadia radius, or 200 stadia (25 miles) across. Beyond that he correctly describes the size of the plain stretching down to the sea (3000 by 2000 stadia, or 330 x 250 miles). He correctly describes the mountain ridge, the size of the continent (larger than Libya and Asia combined - what other land mass could match? ), the occupants (the Atlantes or Atlantia people) and every other detail. All he got wrong was assuming it was man made, because it looks so artificial. Clearly such a huge city would be surrounded by farmland and bustling trade to provide their daily needs. And capital city of such an enormous size must surely have ruled the whole continent of Atlantis. In hindsight we know this was all false. Modern science reveals that the Richat structure is made by nature, not man. But given the evidence available, "man made" was the most logical explanation. And this therefore implied a very large and very advanced society. When the Phoenician explorers returned to Egypt, their discoveries would be the main topic of conversation among educated people. And a couple of years later Solon visited Egypt. Solon was "the father of democracy". After laying down the laws of Athens he left the city to tour the world for ten years. Why? To make it impossible for the Athenians to make him change those laws. While in Egypt he happened to be discussing ancient history. The Greeks only knew history back to 1500 BC. A local priest overheard Solon talking of 1500 BC as ancient history, and decided Solon needed to know the history from before that time. The priest knew how the Atlantes people had invaded the Mediterranean 9,000 years earlier. It was only natural to conclude that they were based at Atlantis. So he praised Athens for their role in that ancient war (or rather the role of their Aegean ancestors). Solon and the priest discussed the political organisation of Atlantis, because Solon was a politician. 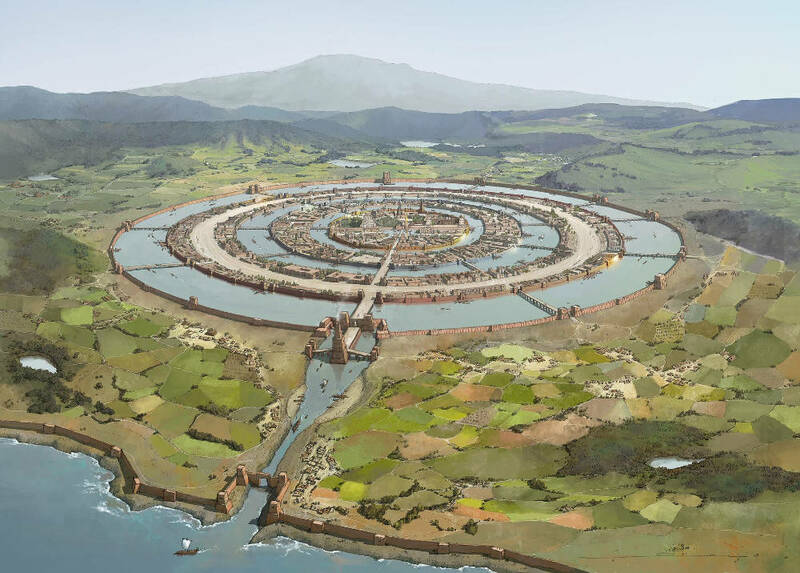 The organisation of Atlantis could be inferred from the physical remains: such a large city would imply an extreme division of labour (as opposed to hunting and gathering), and also a large degree of stability, which in turn implies some kind of priesthood to instill rules. So they were able to discuss the artisans and priests of Atlantis: this was just logical deduction. The priest and Solon discussed how nations can suddenly end, destroying all their records. For example, the Athenians could only remember as far as 1500 BC, when all previous records were destroyed in Deucalion's great flood. This probably referred to the tsunamis that followed the volcano that destroyed everything on the island of Thera. Note the massive hole in the middle of the island. Only the top of the volcano remains. More recently, around 1000 BC, the civilisation of Pavlopetri sank beneath the sea. 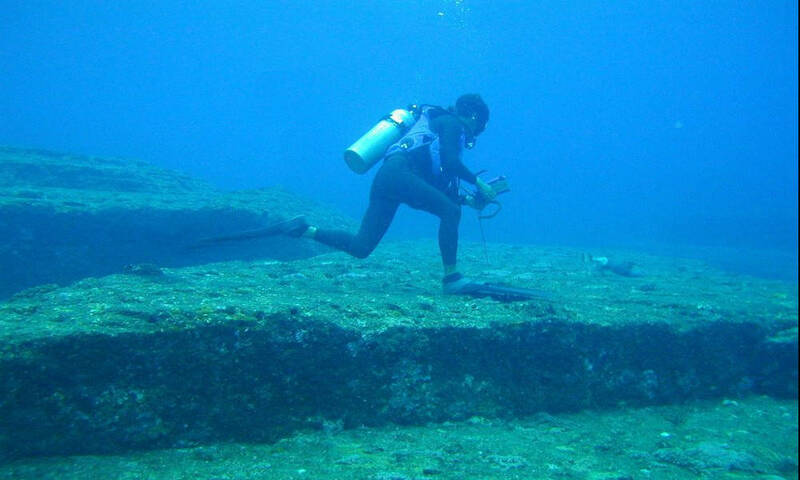 Archaeologists are always finding new evidence of ancient earthquakes or ancient sunken cities. And those are just the catastrophes near Athens. There would be many more in other parts of the world. So in 9,000 years it was almost certain that some catastrophe would destroy your civilisation. Floods and earthquakes happen too quickly to save your historical records: they typically take place "in a night and a day" of terror. "But afterwards there occurred violent earthquakes and floods; and in a single day and night of misfortune all your warlike men [i.e. in Athens] in a body sank into the earth, and the island of Atlantis in like manner disappeared in the depths of the sea. For which reason the sea in those parts is impassable and impenetrable, because there is a shoal of mud in the way; and this was caused by the subsidence of the island." "Afterwards" does not imply that these earthquakes happened on any particular date. "In like manner" does not imply that both are the same event. The conclusion may be wrong in hindsight, but it was logical given the limited evidence available. Many great deluges have taken place during the nine thousand years, for that is the number of years which have elapsed since the time of which I am speaking; and during all this time and through so many changes, there has never been any considerable accumulation of the soil coming down from the mountains, as in other places, but the earth has fallen away all round and sunk out of sight. The consequence is, that in comparison of what then was, there are remaining only the bones of the wasted body, as they may be called, as in the case of small islands, all the richer and softer parts of the soil having fallen away, and the mere skeleton of the land being left. But in the primitive state of the country, its mountains were high hills covered with soil, and the plains, as they are termed by us, of Phelleus were full of rich earth, and there was abundance of wood in the mountains. Of this last the traces still remain, for although some of the mountains now only afford sustenance to bees, not so very long ago there were still to be seen roofs of timber cut from trees growing there, which were of a size sufficient to cover the largest houses; and there were many other high trees, cultivated by man and bearing abundance of food for cattle. Moreover, the land reaped the benefit of the annual rainfall, not as now losing the water which flows off the bare earth into the sea, but, having an abundant supply in all places, and receiving it into herself and treasuring it up in the close clay soil, it let off into the hollows the streams which it absorbed from the heights, providing everywhere abundant fountains and rivers, of which there may still be observed sacred memorials in places where fountains once existed; and this proves the truth of what I am saying." Scientists and historians should recognise this: this is not some fantasy about a global flood. It's a sobre, considered discussion of the long term problems of soil erosion. And that is exactly what they saw in Atlantis. 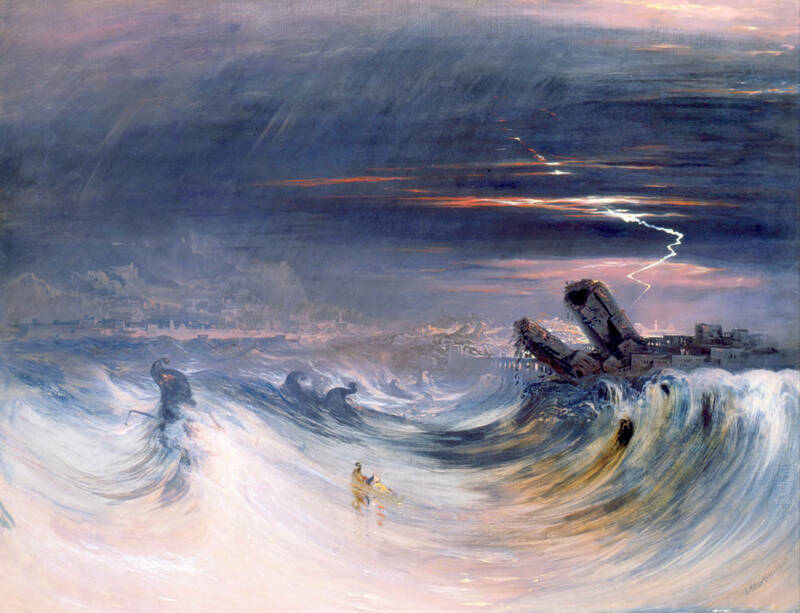 it was the first thing they experienced: "the sea in those parts is impassable and impenetrable, because there is a shoal of mud in the way". The mud banks surrounding the Bay of Arguin are very large, due to ancient soil washed down by the Tamanrasett. The coast at that point also has several small islands, just as Plato described. 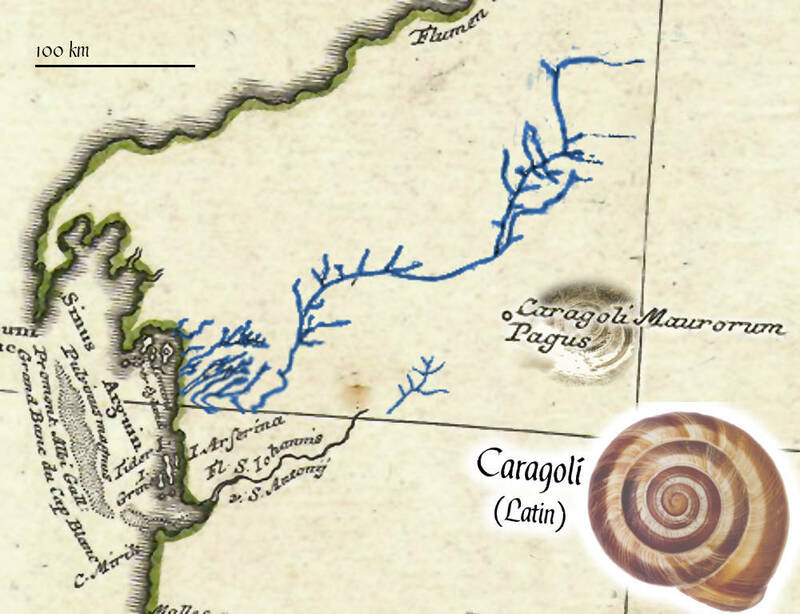 Incidentally, notice on this 1743 map the village called "Caragoli Maurorum Pagus". That's Latin for "Caragoli Moorish village". "Moorish" just meant "from Mauritania - as in "Othello the Moor of Venice". This is a European map, intended for slave traders looking for new conquests. Calling it "Moorish Village" suggests this is an outsider's name for the region. "Caragoli" is Latin for spiral shape: when you stand on the ridge of the Adrar Plateau you would see gigantic concentric rock circles, twenty five miles across. When half covered by sand and seen from a shallow angle, they would easily appear to be spiral shaped. This village is positioned just where explorers saw their first dramatic view of Atlantis. 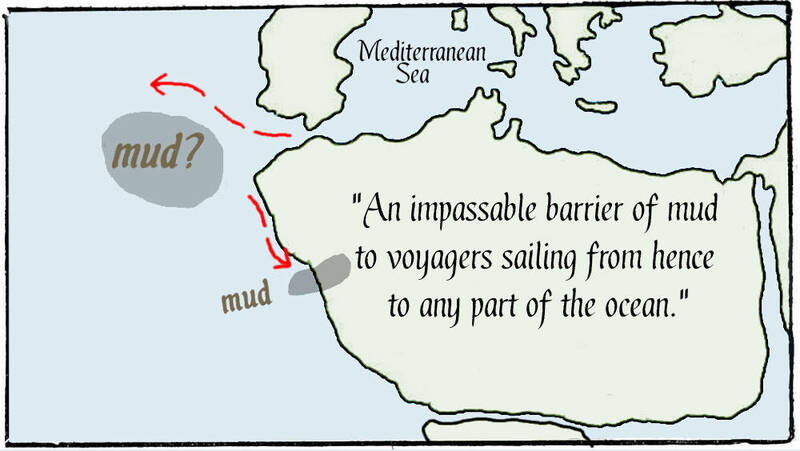 On the topic of mud and the location of Atlantis, Plato said the remains of the flood "became an impassable barrier of mud to voyagers sailing from hence to any part of the ocean." For the mud to block the ocean beyond that point, voyagers must be sticking to the coast. Otherwise they could just sail around it. "When we had got interpreters from the Lixites, we sailed along the desert shore for two days to the south. After sailing eastward for one day, we found in the recess of a bay a small island which had a circumference of five stades. We left settlers there and called it Kerne. We calculated from the journey that this island lay opposite Carthage, for the time sailing from Carthage to the Pillars and from there to Kerne was the same." 464 BC: Athens' arch enemy, Sparta, is devastated by a gigantic earthquake. Around this time Critias would have heard the story of Atlantis. Sparta is yet more proof that civilisations are destroyed by sudden cataclysms. 457 BC: No longer threatened by Sparta, Athens enters its golden age of science and wealth. Plato's parents grew up in this triumphant era. 429 BC:a plague kills over one third of the people of Athens. That year or the year after, Plato is conceived. 428 or 427 BC: Plato is born. 424 BC: Sparta starts to win battle after battle. 418 BC: Athens suffers a major defeat: it all seems over. 418 or 417 BC: an old man (Critias) reassures Plato with the story of Atlantis. How, long ago, another invader seemed poised to destroy Athens, but Athens eventually won, and the invader was judged by the gods and destroyed. This explains the emphasis on divine judgement, The priest spent most of his time speaking of topsoil erosion, the process they saw in the Bay of Anguin. But Plato's account emphasises the role of flooding as divine judgement. Plato intended this story for oratory at the theatre. This does not imply it is fictional, as ancient Greek theatres served many roles. But Plato had to keep the audience's attention. 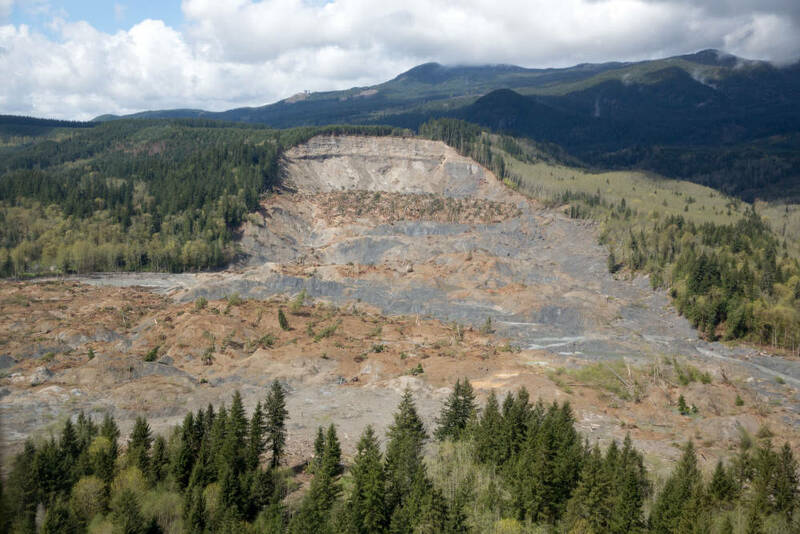 So less topsoil erosion, more dramatic floods. "For a long time had elapsed, and I had forgotten too much; I thought that I must first of all run over the narrative in my own mind, and then I would speak. And so I readily assented to your request yesterday, considering that in all such cases the chief difficulty is to find a tale suitable to our purpose, and that with such a tale we should be fairly well provided. And therefore, as Hermocrates has told you, on my way home yesterday I at once communicated the tale to my companions as I remembered it; and after I left them, during the night by thinking I recovered nearly the whole it. Truly, as is often said, the lessons of our childhood make wonderful impression on our memories; for I am not sure that I could remember all the discourse of yesterday, but I should be much surprised if I forgot any of these things which I have heard very long ago." Plato had to fill some gaps. For example, at ne point Plato explains "this I infer". That is, he says some things that were not in the text but he thought were implied. But in Plato's time, and for hundreds of years before, a fighting boat meant a three storey trireme. 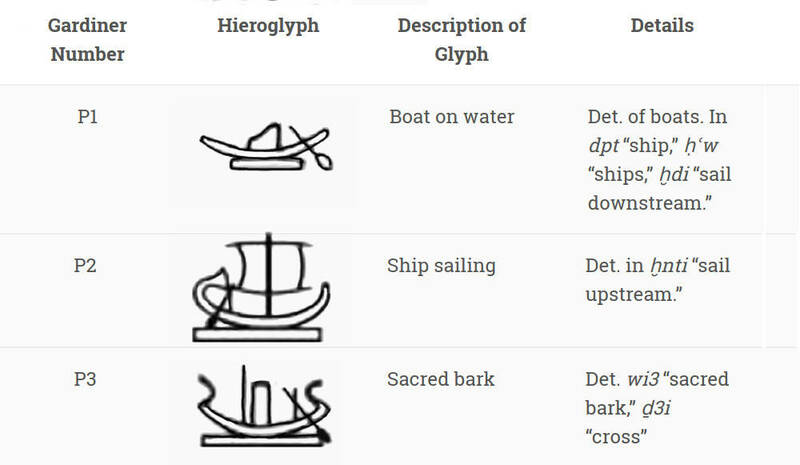 So a reference to reed boats became "The docks were full of triremes"! Some of the numbers are so neat that it appears Plato (or somebody else) has taken the original numbers and analysed them very badly, creating nonsense. For example, Plato correctly notes that the Atlantis plain is 3,000 x 2,000 stadia (330 x 250 miles). He also observes that each family group needs an area of 10 x 10 stadia (about 1.5 square miles). These numbers can be checked, and are correct. The plan between the Bay of Arguin and the Richat Structure is indeed 330 x 250 miles. And studies of hunter gatherers indicate that, in a large hunter gatherer population, a typical family of 4 or 5 will need about 1.5 square miles. However, Plato (or somebody) simply divides the area of the plain by the size needed per family, assuming the plan is packed with a solid grid of families, and comes up with 6,000 families. And it gets worse. Because Plato thinks they were building galleons and chariots, these families have to be whole villages. Suddenly Plato is imagining millions of people! Plato spends a surprising amount of space discussing chariots. This makes sense when we remember his age and personality at the time. The name "Plato" was a wrestling name, given to him by his coach, Ariston of Argos. It means "mountain plateau", referring to his broad shoulders. Plato was the Dwayne Johnson ("The Rock") of his day. And the Atlantis story comes from when he was ten years old. So there's a very high chance that young Plato liked excitement! So when he heard of the ancient chariots (from the rock art) and the great circular path around the Richat Structure, there was only one logical conclusion! "there was set apart a race-course of a stadium in width, and in length allowed to extend all round the island, for horses to race in"
Plato is generally considered the greatest philosopher of all time. He loved logic, and his history of Atlantis proves it. Plato (and Solon and Critias and the Egyuptian priest) looked at the evidence and simply applied logic. 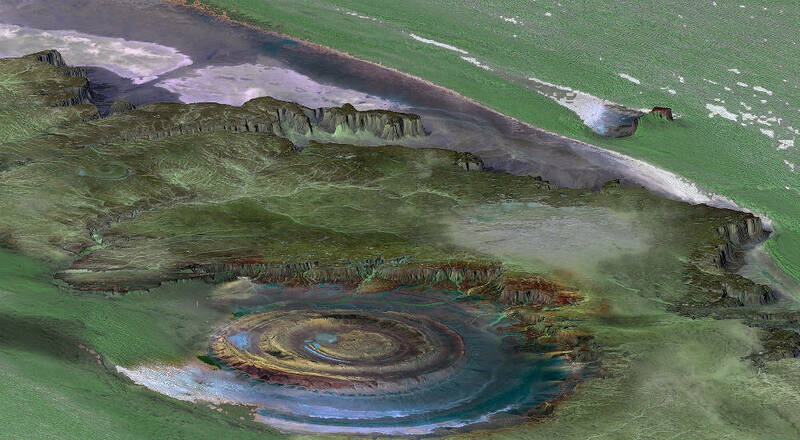 They knew of no natural processes that would create the Richat Structure. Therefore logic says it must be man made. And therefore the civilisation must be extremely large and advanced. Yet it disappeared. 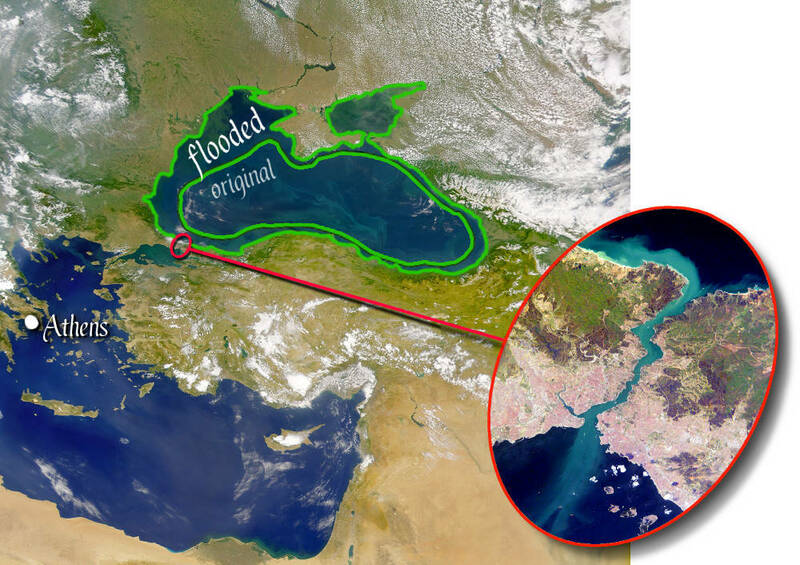 So lok at the evidence of the large quantities of mud and sand, and the numerous great floods in history, and a sudden flood was the most logical explanation. And so on. Everything was logical. But logic depends on evidence, and after Plato the evidecne took a different direction. 334 BC: Continents are not islands! Plato died in 347 BC. Then in 334, Alexander the Great invaded Persia, and continued along toward India. 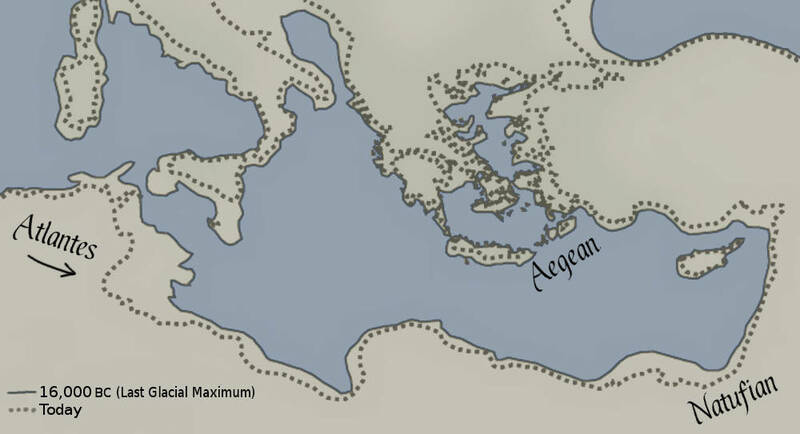 For the first time, Greeks had a very good idea of how Europe joined to Asia. The idea that continents should be seen as islands, separated by wide rivers, became absurd. And as war technology improved, rivers were less and less of a barrier. From that moment nobody could think of Asia, or sub-saharan Africa as an island. The idea became absurd. Around 330 BC, Pseudo-Scylax was published. This document was a guide to the world's coasts. Regarding west Africa, it summarised what had been discovered by the Phoenician colonies. People now knew of more than just the Bay of Anguin. Pseudo-Scylax does mention the coastal mud at the island of Kerne, but that was just one of many different coastal areas. Most areas were not dominated by mud. Africa was not covered in mud: there was no sign of a continent-wide flood. Around 325 BC, Herodotus published his great works on history and geography. They included so many different tribes and stories, mainly what he had heard in his own travels. Clearly he knew nothng of the Younger Dryas or how the ancient Atlantes people moved east. 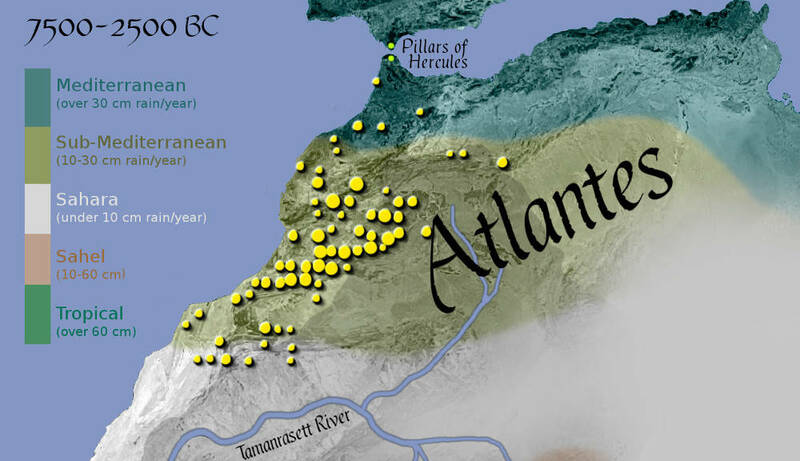 To Herodotus and all subsequent generations, the Atlantes were just one of many different tribes. And the west Africans were referred to by their new name, Ethiopia, so nobody would make the link with Atlantia. For two thousand years Atlantis remained a mystery. People thought it could not be west Africa, because West Africa was not an island, nor did it sink. Then in 1816 a French scholar made a tiny error that changed everything. He mistakenly linked two completely unrelated quotes and made it look like Aristotle did not believe in Atlantis. Ever since Delambre, scholars have confused these two quotations and wrongly believed that Aristotle rejected Atlantis. For example, Wikipedia states that "Aristotle believed that Plato, his teacher, had invented the island to teach philosophy." Wikipedia quotes "Galaxy Science Fiction" as its source. Apparently Aristotle did not read Galaxy Science Fiction, and didn't know he was supposed to reject Atlantis, because all his own works indcate that he considered Atlantis to be historical. For a thorough examination of all the evidence see "Aristotle and Atlantis" by Thorwald C. Franke. Or watch his video for an overview. We can read Aristotle for ourselves. We can examine the lands of the Atlantes and see that they disappeared in 9000 BC, then centuries later recovered and were further east. We can examine Egypt in the same period and see that the tribes were driven out or killed. We can examine the land of Atlantia and see the rock art that suggested they had chariots. We can explore Atlantia from the coast and find the city of Atlantis and its surrounding mountains and plain exactly as Plato described them. And we can read Greek texts about the west coast of Africa between the times of Solon and Plato, and see why he would call a continent an "island" and why he would think it had suffered a great flood. All the evidence is there if we only bother to look. And that wraps up the history of Atlantis. It turns out that Plato was right, mostly. According to archaeology, Atlantes probably did attack Egypt in 9000 BC. According to archaeology the empire of Egypt really did begin in 8,000 BC. And anybody who cares to look can see the 25 mile wide city and its surrounding lands exactly as Plato described them. As for the less important details where Plato was wrong he was merely examining the available evidence and applying logic. Which is more than can be said for his modern critics. I will leave the last word to Solon's unnamed Egyptian Priest. What he said to Solon still applies to modern historians. Once more at the distance of ten days' there is a salt-hill, a spring, and an inhabited tract. Near the salt is a mountain called Atlas, very taper and round; so lofty, moreover, that the top (it is said) cannot be seen, the clouds never quitting it either summer or winter. The natives call this mountain "the Pillar of Heaven"; and they themselves take their name from it, being called Atlantes. They are reported not to eat any living thing, and never to have any dreams. "The whole of this country has successively had the names of Ætheria, Atlantia, and last of all, Æthiopia"
Recall that Plato's Atlantis was west, beyond the Pillars of Hercules, with temples dedicated to Poseidon. "But now Poseidon had gone to visit the Ethiopians worlds away, Ethiopians off at the farthest limits of mankind, a people split in two, one part where the Sungod sets and part where the Sungod rises." "But now Poseidon, god of the earthquake, saw him just returning home from his Ethiopian friends, from miles away on the Solymi mountain-range he spied Odysseus sailing down the sea and it made his fury boil even more. He shook his head and rumbled to himself, Outrageous! Look how the gods have changed their minds about Odysseus "while I was off with my Ethiopians"
"Only yesterday Zeus went off to the Ocean River to feast with the Aethiopians, loyal, lordly men, and all of the gods went with him." "After brief pleasure in wedlock with Atlantis (Daughter of Atlas) [i.e. Kalypso], he [Odysseus] dares set foot in his offhand vessel." (Lycophron, Alexandra 743) (Translated by Mair. The translator, Mair (Gilbert Robinson Mair? Alexander William Mair?) left in the Greek word "Atlantis". But in other translations the word is translated into "daughter of Atlas". Clearly there is no distinction between the two. With that in mind, this is from the introduction to the Odyssey: it explains how Odysseus was a captive in the land of Calypso, i.e. the land of the daughter of Atlas. In other words, he was in Atlantis. 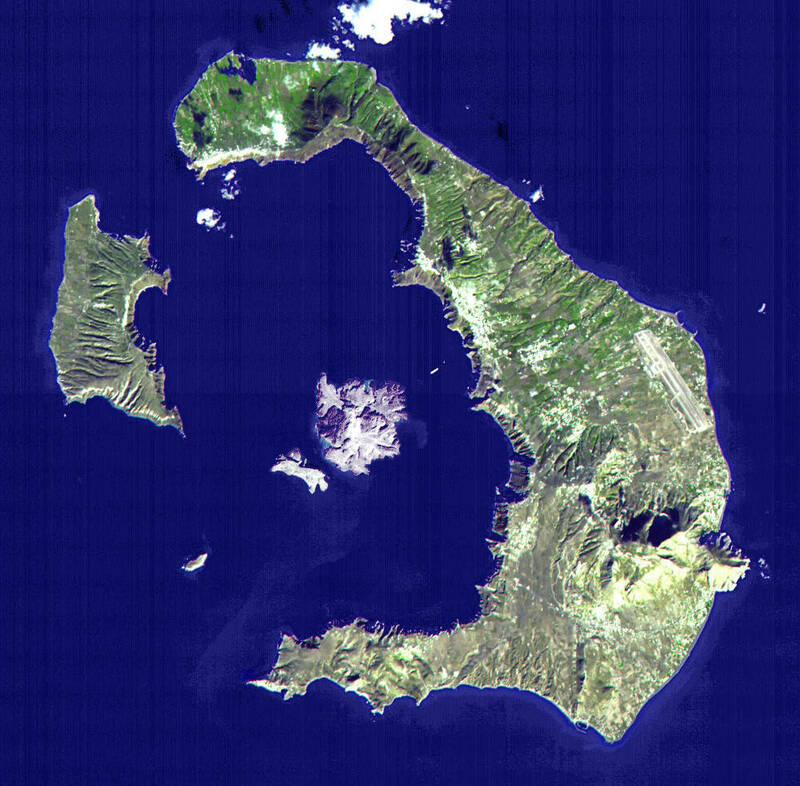 This daughter of Atlas (Atlantis) no doubt had many islands, and this one is called Ogygia. "The tale begins when all those who had escaped the pit of destruction [the war at Troy] were safe in their own lands, spared by the wars and seas. Only Odysseus was held elsewhere, pining for home and wife; the Nymphe Kalypso (Calypso), a goddess of strange power and beauty, had kept him captive within her arching caverns, yearning for him to be her husband. And when there came with revolving seasons the year that the gods had set for his journey home to Ithaka, not even then was he past his troubles, not even then was he with his own people. For though all the gods beside had compassion on him, Poseidon's anger was unabated against the hero until he returned to his own land . . . The other gods were gathered together [in council] in the palace of Olympian Zeus . . . Athene, goddess of gleaming eyes made answer : ‘. . . It is for Odysseus my heart is wrung--so subtle a man and so ill-starred; he has long been far from everything that he loves, desolate in a wave-washed island, a wooded island, the navel of all the seas. A goddess has made her dwelling there whose father is Atlas the magician; he knows the depths of all the seas, and he, no other, guards the tall pillars that keep the sky and the earth apart. His daughter it is who keeps poor Odysseus pining there, and who seeks continually with her soft and coaxing words to beguile him into forgetting Ithaka; but he--he would be well content to see even the smoke rising up from his own land, and he longs to die . . . O son of Kronos (Cronus), father of us and sovereign ruler, if indeed the blessed gods now wish that shrewd Odysseus should come to his own land again, then let us instruct the radiant Hermes, the Messenger, to go to the island of Ogygia and without delay to tell the Nymphe of the braided tresses our firm decree that staunch Odysseus is to depart and journey home.’"
"[After leaving Calypso] For seventeen days then he sailed over the sea, and on the eighteenth appeared the shadowy mountains of the land of the Phaeacians." Diodorus Siculus and other ancient writers also refer to Atlantis. But they are probably just restating what they understand (or misunderstand) from Plato. I prefer the earliest sources, such as Homer, or those with original information, such as Herodotus. Libya is washed on all sides by the sea except where it joins Asia, as was first demonstrated, so far as our knowledge goes, by the Egyptian king Necho, who, after calling off the construction of the canal between the Nile and the Arabian Gulf, sent out a fleet manned by a Phoenician crew with orders to sail west about and return to Egypt and the Mediterranean by way of the Straits of Gibraltar. The Phoenicians sailed from the Arabian Gulf into the southern ocean, and every autumn put in at some convenient spot on the Libyan coast, sowed a patch of ground, and waited for next year's harvest. Then, having got in their grain, they put to sea again, and after two full years rounded the Pillars of Heracles in the course of the third, and returned to Egypt. These men made a statement which I do not myself believe, though others may, to the effect that as they sailed on a westerly course round the southern end of Libya, they had the sun on their right - to northward of them. This is how Libya was first discovered by sea." In ancient timees, ships were dug-out canoes that did not venture out into the ocean. So oceans and rivers were thought to be very similar. This has three implications for locating Atlantis. First, the ocean itself was just a wide river, so it only had space for small islands, not islands "bigger than Libya and Asia combined." Second, all land (including undiscovered lands) must be in a circle in the middle of the ocean river. Third, all rivers come from underground springs that originate in the ocean (the ocean further out was assumed to be fresh water). So rivers were part of the ocean. If a river cut Africa in two it was like the iocena cutting Africa in two, making Africa into two islands. 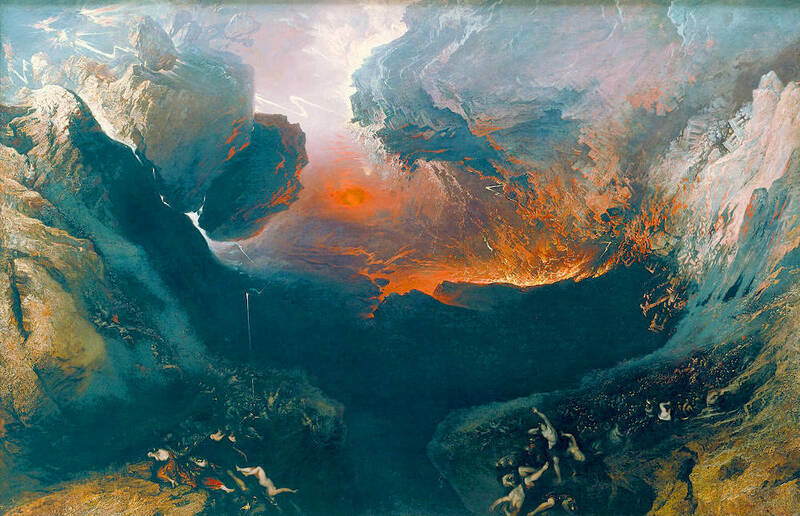 "[The] streams are many and great and of all sorts, but among the many are four streams, the greatest and outermost of which is that called Okeanos, which flows round in a circle, and opposite this, flowing in the opposite direction, is [the underworld river] Akheron (Acheron), which flows through various desert places and, passing under the earth, comes to the Akherousian (Acherusian) Lake." from whom all rivers are and the entire sea and all springs and all deep wells have their waters of him." "Okeanos the completely encircling river." "It [the Styx] is one horn of the Okeanos stream, and travels off that holy river a great course through night's blackness under the wide-wayed earth, and this water is a tenth part of all, for in nine loops of silver-swirling waters, around the earth and the sea's wide ridges he [Okeanos] tumbles into the salt water [i.e. the sea], but this stream [the Styx] greatly vexing the gods runs off the precipice." "Okeanos whose nature ever flows, from whom at first both gods and men arose; sire incorruptible, whose waves surround, and earth's all-terminating circle bound : hence every river, hence the spreading sea, and earth's pure bubbling fountains spring from thee. Hear, mighty sire, for boundless bliss is thine, greatest cathartic of the powers divine : earth's friendly limit, fountain of the pole, whose waves wide spreading and circumfluent roll. Approach benevolent, with placid mind, and be forever to thy mystics kind." Listen, Socrates, to a tale which, though strange, is certainly true, having been attested by Solon, who was the wisest of the seven sages. 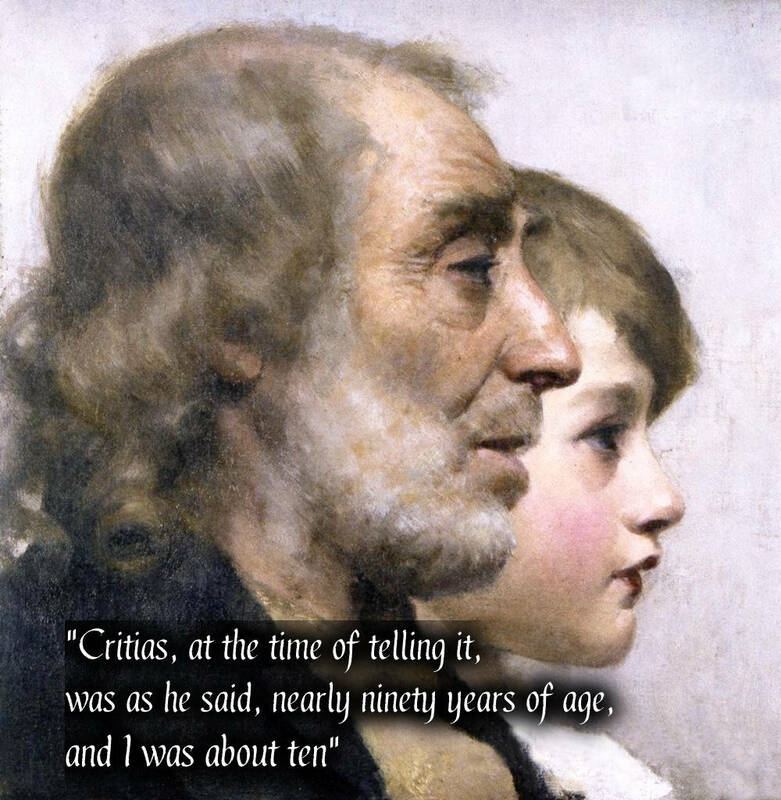 He was a relative and a dear friend of my great-grandfather, Dropides, as he himself says in many passages of his poems; and he told the story to Critias, my grandfather, who remembered and repeated it to us. There were of old, he said, great and marvellous actions of the Athenian city, which have passed into oblivion through lapse of time and the destruction of mankind, and one in particular, greater than all the rest. This we will now rehearse. It will be a fitting monument of our gratitude to you, and a hymn of praise true and worthy of the goddess, on this her day of festival. He replied:-In the Egyptian Delta, at the head of which the river Nile divides, there is a certain district which is called the district of Sais, and the great city of the district is also called Sais, and is the city from which King Amasis came. The citizens have a deity for their foundress; she is called in the Egyptian tongue Neith, and is asserted by them to be the same whom the Hellenes call Athene; they are great lovers of the Athenians, and say that they are in some way related to them. To this city came Solon, and was received there with great honour; he asked the priests who were most skilful in such matters, about antiquity, and made the discovery that neither he nor any other Hellene knew anything worth mentioning about the times of old. On one occasion, wishing to draw them on to speak of antiquity, he began to tell about the most ancient things in our part of the world-about Phoroneus, who is called "the first man"; and about Niobe; and after the Deluge, of the survival of Deucalion and Pyrrha; [Deucalion is , about 1500 BC, that is, the time when the volcanic destruction of Thera caused massive waves to devastate Greece.] and he traced the genealogy of their descendants, and reckoning up the dates, tried to compute how many years ago the events of which he was speaking happened. 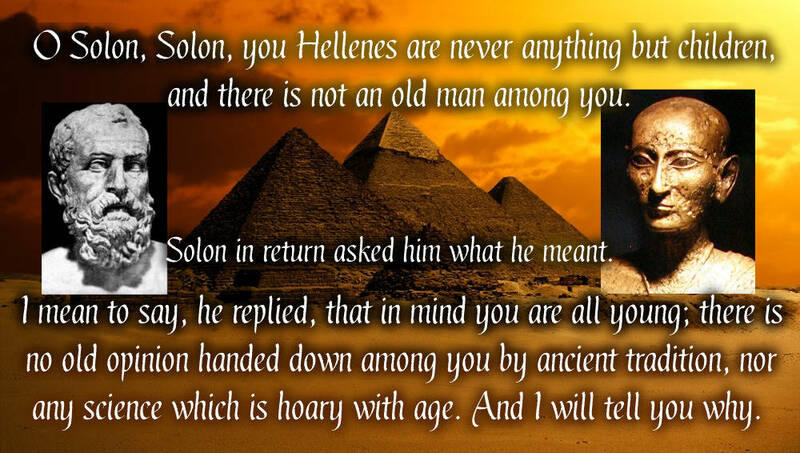 Thereupon one of the priests, who was of a very great age, said: O Solon, Solon, you Hellenes are never anything but children, and there is not an old man among you. Solon in return asked him what he meant. I mean to say, he replied, that in mind you are all young; there is no old opinion handed down among you by ancient tradition, nor any science which is hoary with age. And I will tell you why. There have been, and will be again, many destructions of mankind arising out of many causes; the greatest have been brought about by the agencies of fire and water, and other lesser ones by innumerable other causes. There is a story, which even you have preserved, that once upon a time Paethon, the son of Helios, having yoked the steeds in his father's chariot, because he was not able to drive them in the path of his father, burnt up all that was upon the earth, and was himself destroyed by a thunderbolt. Now this has the form of a myth, but really signifies a declination of the bodies moving in the heavens around the earth, and a great conflagration of things upon the earth, which recurs after long intervals; at such times those who live upon the mountains and in dry and lofty places are more liable to destruction than those who dwell by rivers or on the seashore. And from this calamity the Nile, who is our never-failing saviour, delivers and preserves us. When, on the other hand, the gods purge the earth with a deluge of water, the survivors in your country are herdsmen and shepherds who dwell on the mountains, but those who, like you, live in cities are carried by the rivers into the sea. Whereas in this land, neither then nor at any other time, does the water come down from above on the fields, having always a tendency to come up from below; for which reason the traditions preserved here are the most ancient. Many great and wonderful deeds are recorded of your state in our histories. But one of them exceeds all the rest in greatness and valour. For these histories tell of a mighty power which unprovoked made an expedition against the whole of Europe and Asia, and to which your city put an end. This power came forth out of the Atlantic Ocean, for in those days the Atlantic was navigable; and there was an island situated in front of [other translations say "opposite"] the straits which are by you called the Pillars of Heracles; the island was larger than Libya and Asia put together, and was the way to other islands, and from these you might pass to the whole of the opposite continent which surrounded the true ocean; for this sea which is within the Straits of Heracles is only a harbour, having a narrow entrance, but that other is a real sea, and the surrounding land may be most truly called a boundless continent. Now in this island of Atlantis there was a great and wonderful empire which had rule over the whole island and several others, and over parts of the continent, and, furthermore, the men of Atlantis had subjected the parts of Libya within the columns of Heracles as far as Egypt, and of Europe as far as Tyrrhenia. This vast power, gathered into one, endeavoured to subdue at a blow our country and yours and the whole of the region within the straits; and then, Solon, your country shone forth, in the excellence of her virtue and strength, among all mankind. She was pre-eminent in courage and military skill, and was the leader of the Hellenes. And when the rest fell off from her, being compelled to stand alone, after having undergone the very extremity of danger, she defeated and triumphed over the invaders, and preserved from slavery those who were not yet subjugated, and generously liberated all the rest of us who dwell within the pillars. 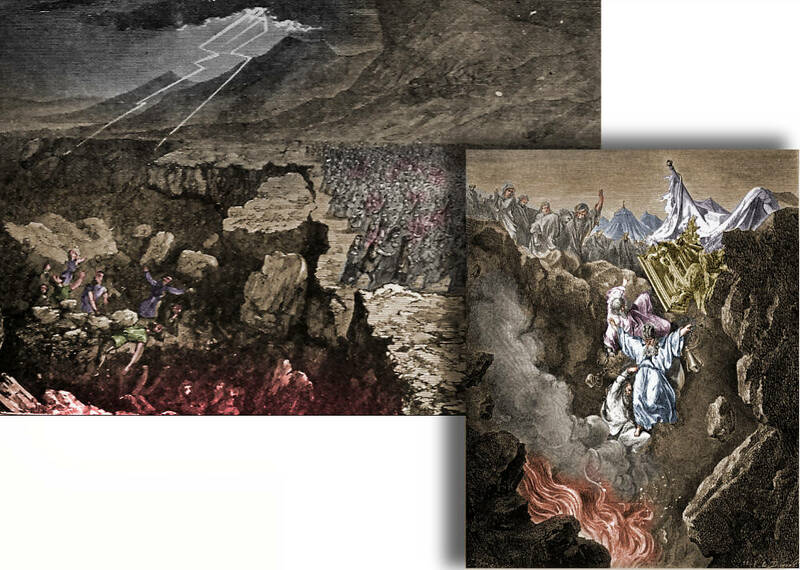 But afterwards there occurred violent earthquakes and floods; and in a single day and night of misfortune all your warlike men in a body sank into the earth, and the island of Atlantis in like manner disappeared in the depths of the sea. For which reason the sea in those parts is impassable and impenetrable, because there is a shoal of mud in the way; and this was caused by the subsidence of the island. And therefore, as Hermocrates has told you, on my way home yesterday I at once communicated the tale to my companions as I remembered it; and after I left them, during the night by thinking I recovered nearly the whole it. Truly, as is often said, the lessons of our childhood make wonderful impression on our memories; for I am not sure that I could remember all the discourse of yesterday, but I should be much surprised if I forgot any of these things which I have heard very long ago. Let me begin by observing first of all, that nine thousand was the sum of years which had elapsed since the war which was said to have taken place between those who dwelt outside the Pillars of Heracles and all who dwelt within them; this war I am going to describe. Of the combatants on the one side, the city of Athens was reported to have been the leader and to have fought out the war; the combatants on the other side were commanded by the kings of Atlantis, which, as was saying [implying that this dialgue comes after Timaeus], was an island greater in extent than Libya and Asia, and when afterwards sunk by an earthquake, became an impassable barrier of mud to voyagers sailing from hence to any part of the ocean. The progress of the history will unfold the various nations of barbarians and families of Hellenes which then existed, as they successively appear on the scene; but I must describe first of all Athenians of that day, and their enemies who fought with them, and then the respective powers and governments of the two kingdoms. Let us give the precedence to Athens.